EKOMET has been present on the market since 1994 as a manufacturer of wire and wire-derived products. Our seat is based in central Poland in the Ozorków town (Łódź province), next to National Road 91, which connects Katowice – Łódź – Gdańsk. Our manufacturing capability and experience allow us to provide top-quality products and services. Our products comply with European Standards (EN-PN). Quality of products and manufacturing accuracy are monitored by the in-house production control system. Our products bear the CE-marking. We have gained more than 20 years of experience in manufacturing and using fibre reinforcement for construction purposes. We supply steel reinforcement solutions for a wide range of companies recognised on the Polish construction market. We provide our customers with design assistance and extensive technical information about concrete surface construction. 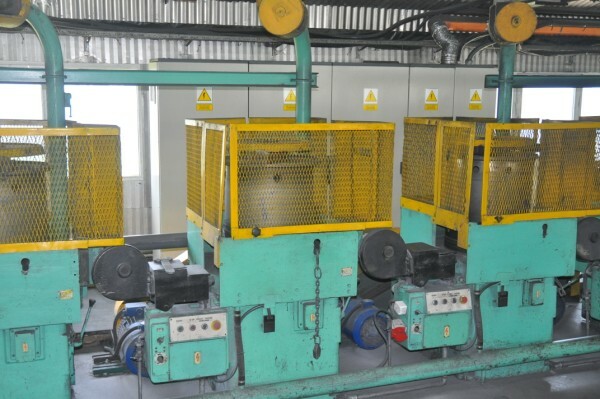 Our wire production department is equipped with multi-die drawing lines for wire manufacturing. Within our domain, we complete individual orders placed by customers from various sectors in which steel wires are used. Our technical potential allows us to attain contracted technical parameters and quality. We are a trustworthy and reliable partner on the market.